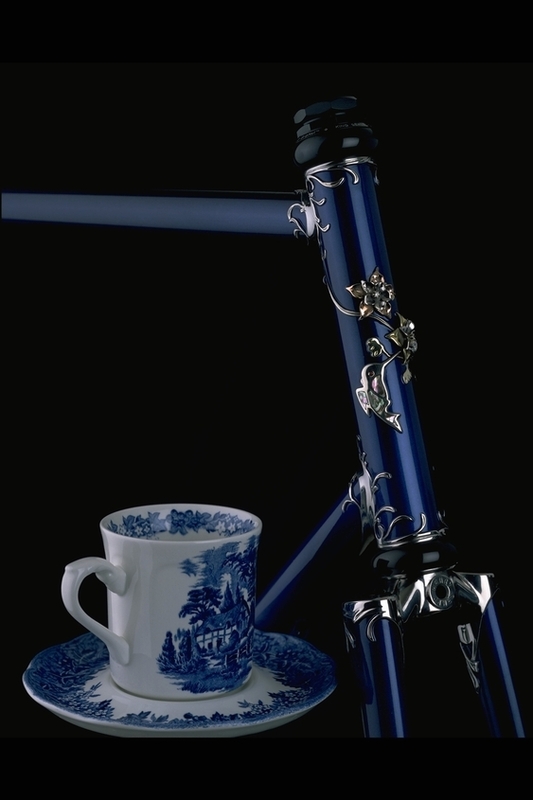 Columbine bicycles come in a wide range of decoration, from the elegant classical simplicity of the Custom series to the exquisitely detailed features of the Ultra series. Whatever your taste and desires, Columbine can create a bicycle that you will love riding and owning. 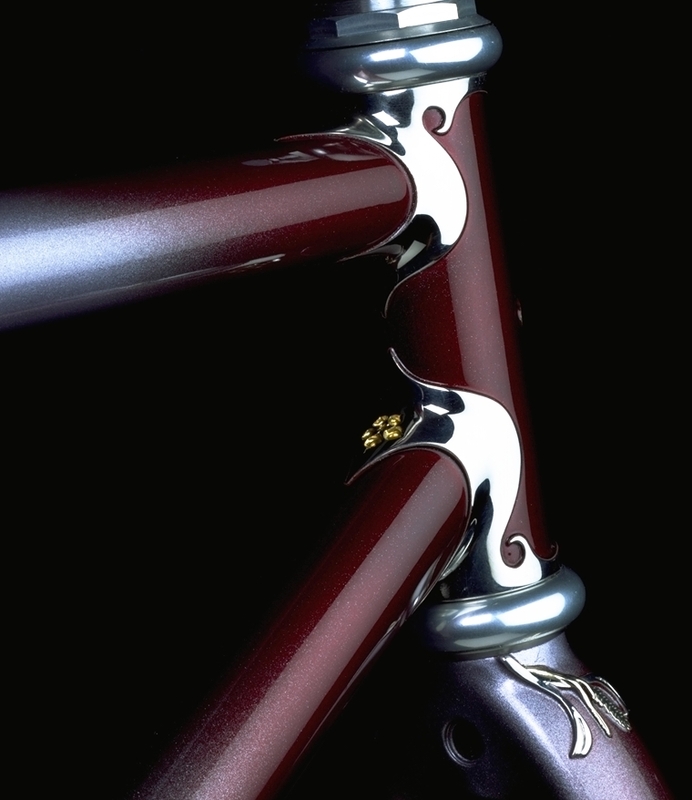 “Columbine Custom” - This is a Columbine Custom with the option of stainless steel lugwork. 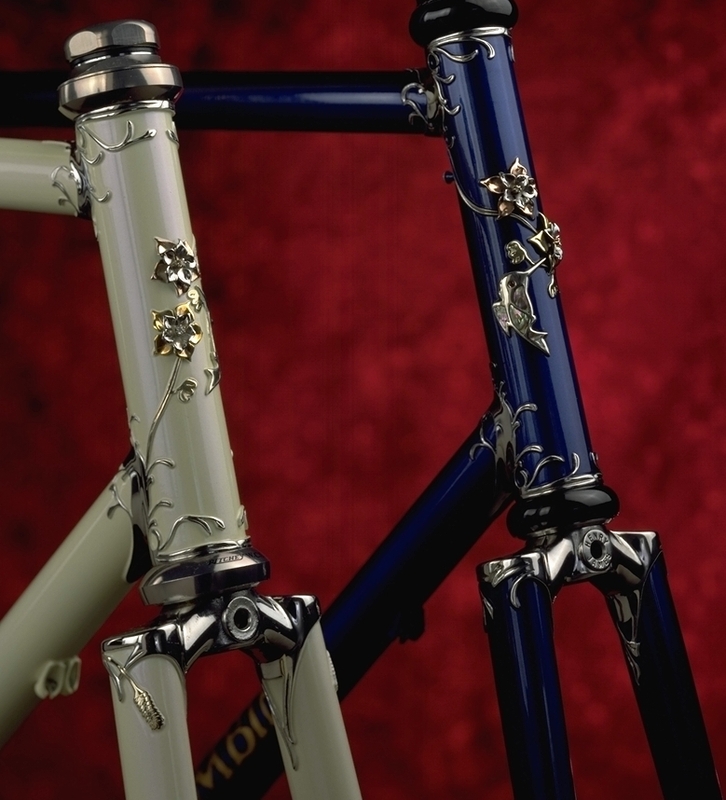 It shows the flowing lugwork and distinctive columbine flower of the Custom series. “Columbine Ultra” - An Ultra with specially designed headtube artwork. 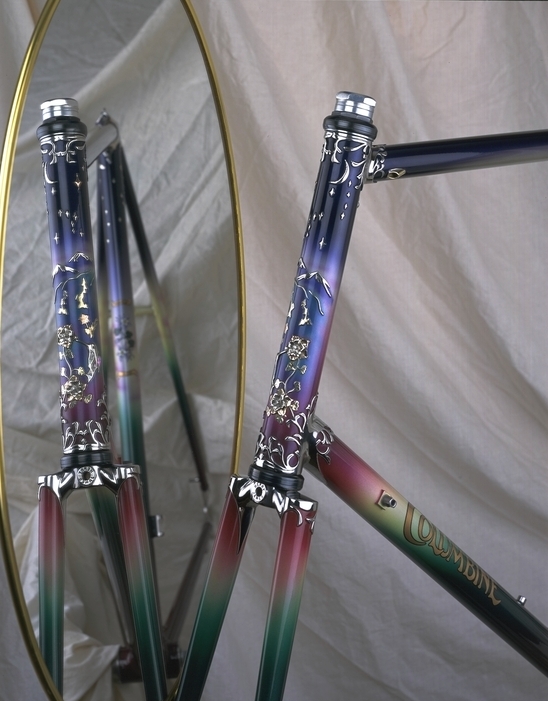 “Columbine Twins” - A pair of Ultras with mirror orientation of the headtube artwork. “Earth to Sky” - A totally unique concept Ultra created to fufill a customer’s inspiration. 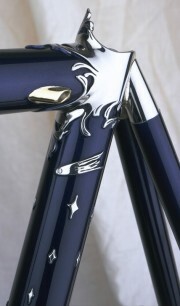 “Earth to Sky (seat cluster detail)” - A detail of the seat tube showing the Big Dipper and the Hale-Bopp comet!